Is the Car Instrument Panel the Most Underrated Bit of Data Governance Ever? - IRM Connects, by IRM UK | IT Blog. 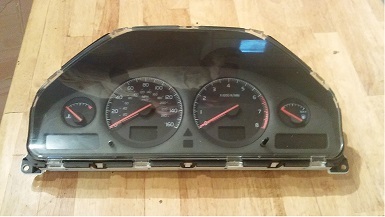 Blog Is the Car Instrument Panel the Most Underrated Bit of Data Governance Ever? I’ve used a car instrument panel pretty much every day of my adult life, and not ever given it a second thought. That is until this one went wrong and at first gave me inaccurate warnings, then blacked out altogether. Without it I had no data to ensure that I was meeting the regulatory framework within which I was operating. I had no way to know that everything was working as it should be and if problem had occurred “BOOM” it would have been too late for me to take corrective action. If I carried on without governance I wouldn’t know when I needed to source new resources such as diesel, and I’d be at the mercy of the market, or need to keep topping up and thus heavy and inefficient. To make matters worse there was an average speed Audit being carried out on my car at the time, but with no speedo I had no way to ensure compliance. I now face an anxious 2 week wait whilst the external auditors (police) checked my speed. If they do report a breach of speed monitoring, I have no way of questioning their response and just have to accept whatever fine they give me. They can even enforce costly speed awareness training taking up precious time for the most valuable resource in the car let alone wasting my training budget. The constant monitoring of core systems such as the carburettor or oil levels, mean that I don’t need know how any core function works to know that it’s working smoothly. Yet the monitoring has little impact on the performance of the vehicle. So much so, that I barely notice its existence and isn’t that the key for all good data governance programs it just works tell alerts the organisation of any potential problems but does not get in the way. But it shouldn’t stop there I’m greedy I want more data about my journey and want my route to be as efficient as possible, I look to my instrument panel to make that happen. I want a sat nav built in so that I can reach my objectives as quickly as possible, It should be able to help me avoid competitors stuck in traffic by navigating the clearest route. I want it to know how far my fuel is going to take me so that I can exploit the most cost effective re-fuelling opportunities. I want parking and lane sensors so I can reduce risks of difficult functions, and thus require less skilled operators. Key to all of these is they are non-evasive, they don’t prevent me from doing anything, I could choose not to fill up and end up spending more, I could ignore the lane sensor and change lane anyway but I do so knowing the options available. Again this is the aim of many data governance programs, once you’ve got the foundations right there is a real opportunity to provide a real benefit to the organisation beyond the risk of non-compliance, you can streamline your business and make the most effective and appropriate business decisions, or just let me take a risk if that’s what I want to do. Douglas Silverstone, has worked in the Not for profit sector for over a decade. Helping organizations of all sizes to identify how to get the most from technology and the data at their disposal. He is currently the Data governance manager for Thames Valley Housing, an Organization with 15,000+ homes. His role is establishing a framework as a foundation for a data driven future. He is responsible for Data Compliance (GDPR, PCI, FOI), Information security, Data Quality and Integrity, as well as proving the value of data and its criticality to any business strategy. Interesting view of an everyday information source, explains the governance regime well ,particularly the risk aspect but still the choice of the operator, (me). Sometimes those operating data governance forget that there are human aspects and there can be a need be non compliant, and to examine that need and make changes.